LANGSDORFF, Georg Heinrich von. 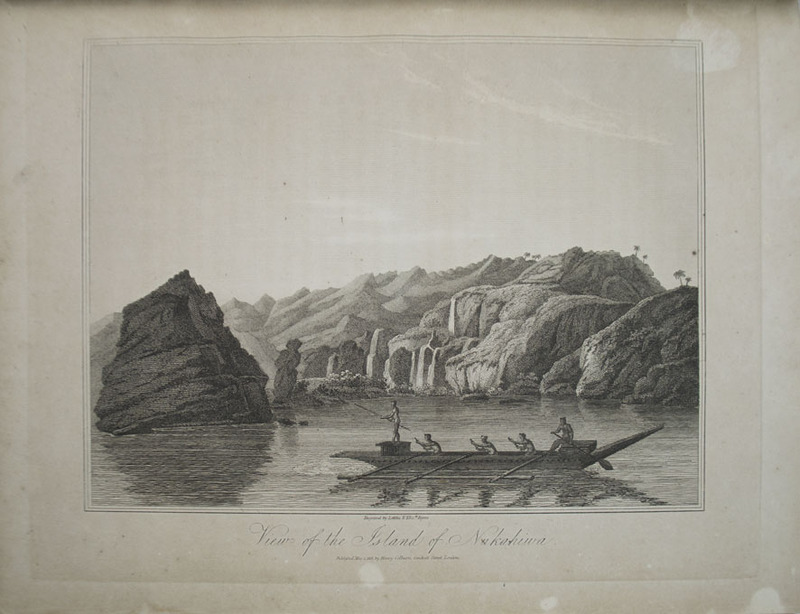 Voyages and Travels in Various Parts of the World, During the Years 1803, 1804, 1805, 1806, and 1807...Illustrated by Engravings from Original Drawings. London: Printed for Henry Colburn , 1813 [-1814]. First English edition. 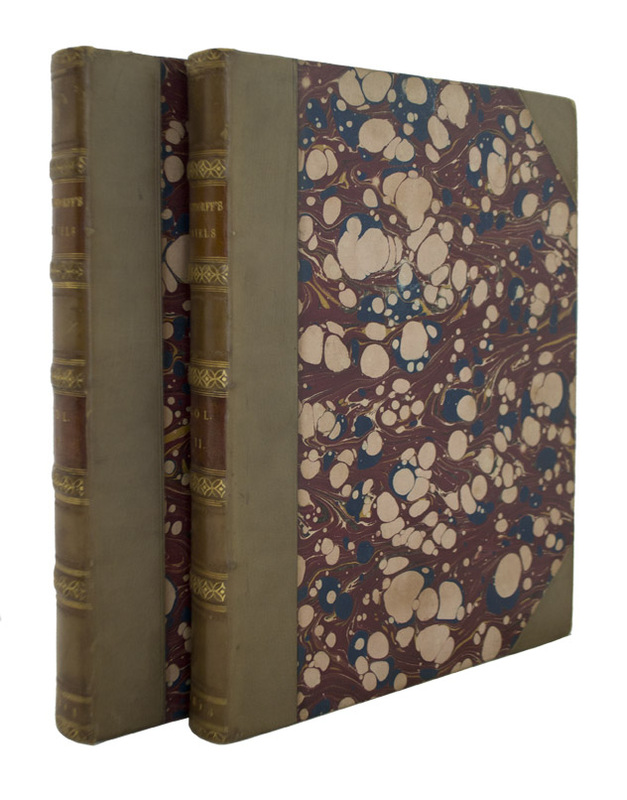 Two quarto volumes in one (10 1/2 x 8 3/8 inches; 265 x 214mm). xxi, , -362, [6, index]; , [1- 8], -386, [6, index], [2, blank] pp. Volume II lacking the half-title. With all twenty-one engraved plates (including frontispieces for each volume), two of which are sheets of music. Also with the folding map. 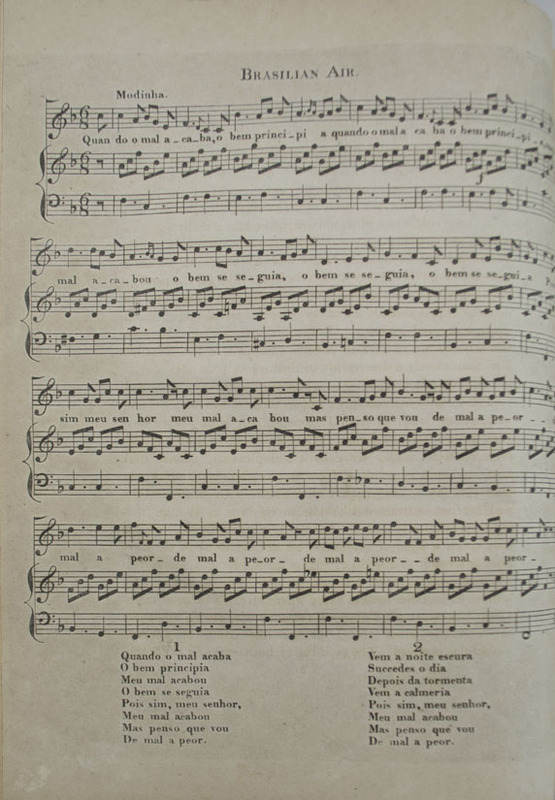 The pieces of music are entitled "Brasilian Air" and "Song of the Native of Nukahiwa." Contemporary half calf over marbled boards. Spines with two brown morocco labels, lettered in gilt. Spines tooled in gilt. Edges speckled red-brown. Drab green endpapers. Title-pages with some offsetting. Most leaves facing the plates with some offsetting as well. Some occasional staining, but generally very clean. Some faded stray ink marks to page 45 in volume I. Overall a very good copy. 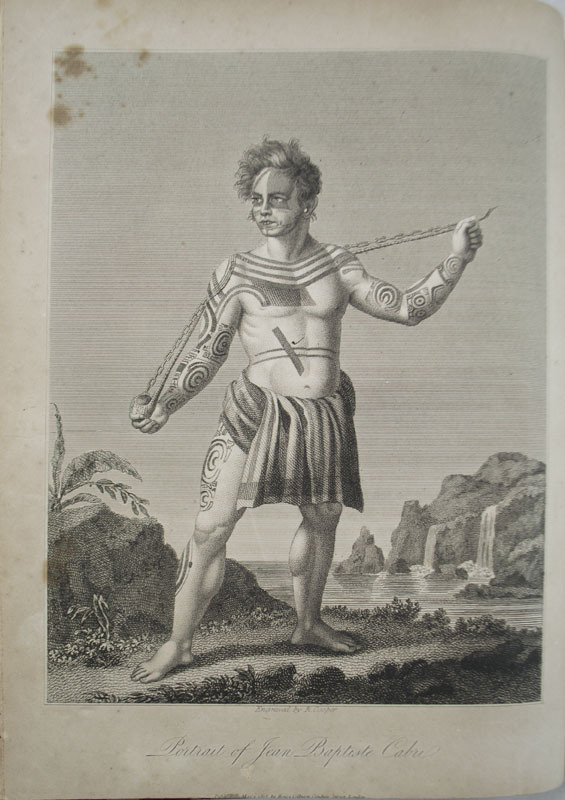 "Langsdorff was a German physician with a passion for natural history. 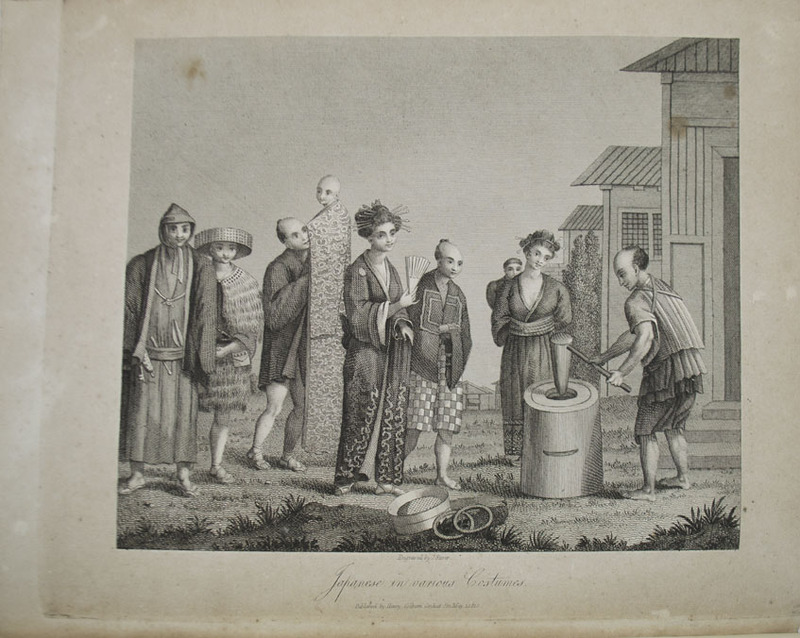 Together with Mikolai Petrovich Rezanov, chamberlain of Czar Alexander I and Russian ambassador to Japan, Langsdorff accompanied the round-the-world expedition led by Kruzenshtern until it reached Kamchatka in 1805...Comprehensive accounts are given of Brazil, Japan and Hawaii. 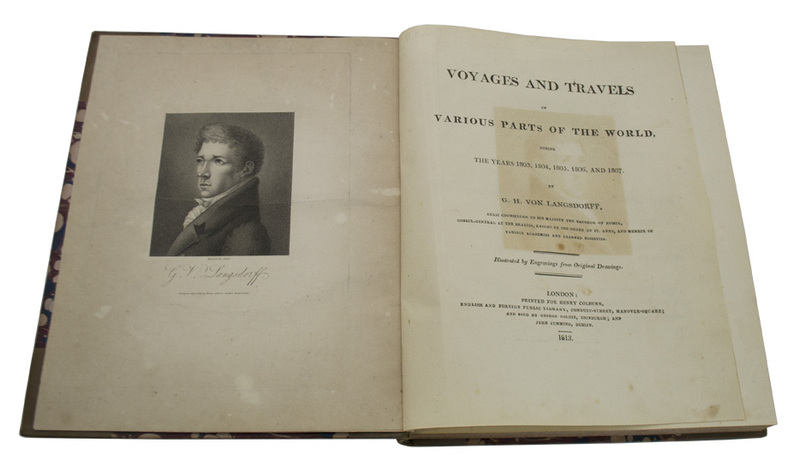 The first volume, containing the account of the Kruzenshtern expedition with the Nadeshda and Neva until Langsdorff's and Rezanov's separation from it at Kamchatka in 1805, has as half-title "Voyage from Copenhagen to Brazil, the South Sea, Kamschatka, and Japan." (Hill 969-969).